marta writes: nyc / eating in the big apple. 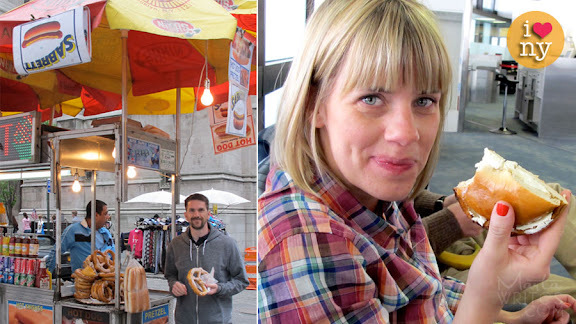 nyc / eating in the big apple. 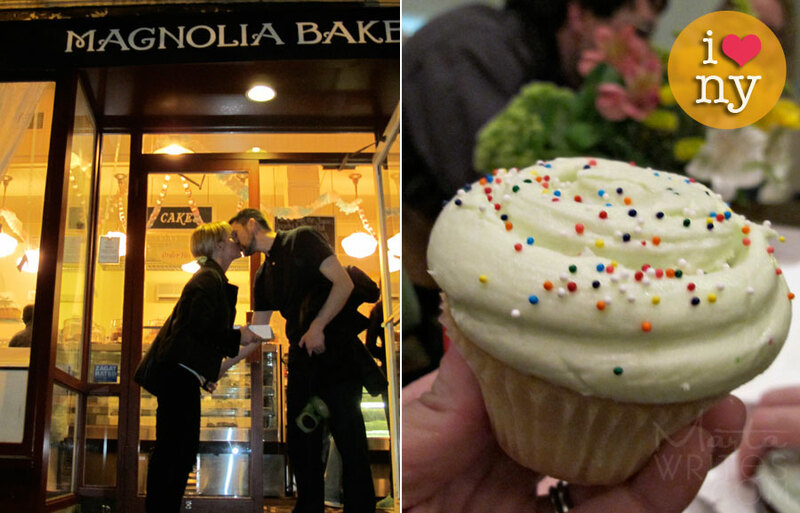 magnolia bakery | nyc locations. deloverly. i've heard of it for years and it did not disappoint. the cupcake was delicious, nothing out of this world crazy, but still i've never met a cupcake i didn't like. i was happy. this was our first night there and we met up with friends, andrea and slade, who gave us the scoop of the town. slade swears by the banana cream pudding. he shared a taste and it was indeed very good. and i think i liked dan's chocolate cupcake even more than their classic vanilla cake w/ vanilla buttercream that i got. andrea says red velvet is their best. i marveled in the moment; the pom poms, the bunting pennants, the chalkboard menus and chains swooshing across the storefront. (so many times you dream of a place and it doesn't quite meet up with what you had in mind.) i thought magnolia's was everything a cupcake shop should be. 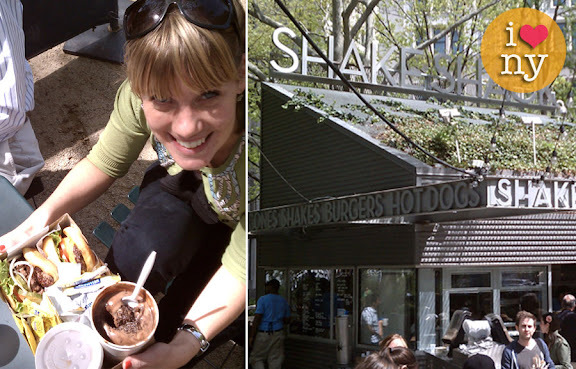 shake shack | check it. | madison square park, near madison ave. and east 23rd street. a.maze.ing. any place that has a long lunch line that you have to wait in (especially in new york city) makes a meal all the more tasty. i ordered the shack attack concrete which was almost a death by chocolate experience. no skimping on chocolate additives either. the burgers were divine and i was happy it came with two whopping slices of tomato. madison square park is gorgeous (i was oohing and awwing over the violet and peach colored tulips) and a perfect spot to rest awhile and people watch. la baguette market | the best part about not making a plan for dinner is landing upon random little cafe shops. this place happened to be open until midnight (hooray for the city that never sleeps) and sold an array of goodies, my favorite being the chocolate sandwich cookie men. patsy's pizza | nyc locations. a great place for a crowd to eat. we dined on huge pizzas, family sized salads and pastas too. we went late in the afternoon and had this popular place mostly to ourselves. of course, firstly, i led the group seven blocks in the opposite direction. we did indeed land at a restaurant called patsy's. just not patsy's pizza. random stuff like that is always happening to me. anyway, everyone was a good sport about walking all that way. plus it made the long-awaited thin crust new york pizza taste even better. norma's | at le parker meridien hotel. dave and ariane suggested it and they are always dining well, so i knew i was in for a treat. while dan was on a running tour of the city (more on that later), i was happy to tag along with dave, ariane and sarah for the best brunch in town. (i remembered this hotel instantly because the secret burger joint i dragged my sisters to last year is also located in this hotel. they are two completely different atmospheres, right in the same lobby. incredible. next time i'm dragging my sisters to norma's instead.) the best thing about splurging on a fancy breakfast is that you don't have to dress up in heels. the feeling is light, bright and airy rather than dim, formal and stuffy. and the fresh orange juice just keeps on coming. plus, the dining experience lasts long enough to count as two meals. (i am good at justifying steeply-priced breakfast foods.) i ordered the whaz-za which consisted of waffles topped with bananas, blueberries, papaya and a creme brulee topping which was heaven. sarah ordered chocolate brioche french toast and it came out looking like a huge slice of cake. the orange juice was unlike any i've ever had and i've read that their hot chocolate is amazing too. 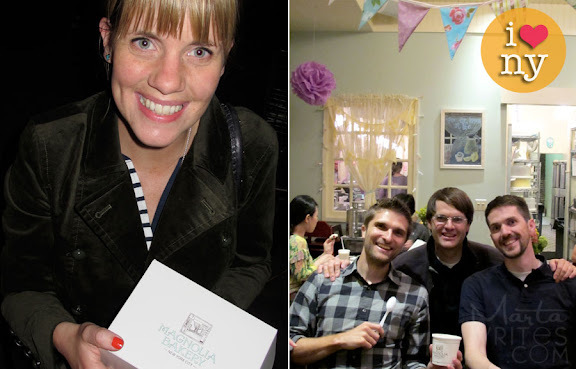 norma's was to-die-for delicious and a perfect place for a special occasion. they are only open for breakfast, brunch or lunch. seriously, half my roll of film was pictures of us eating in new york city. 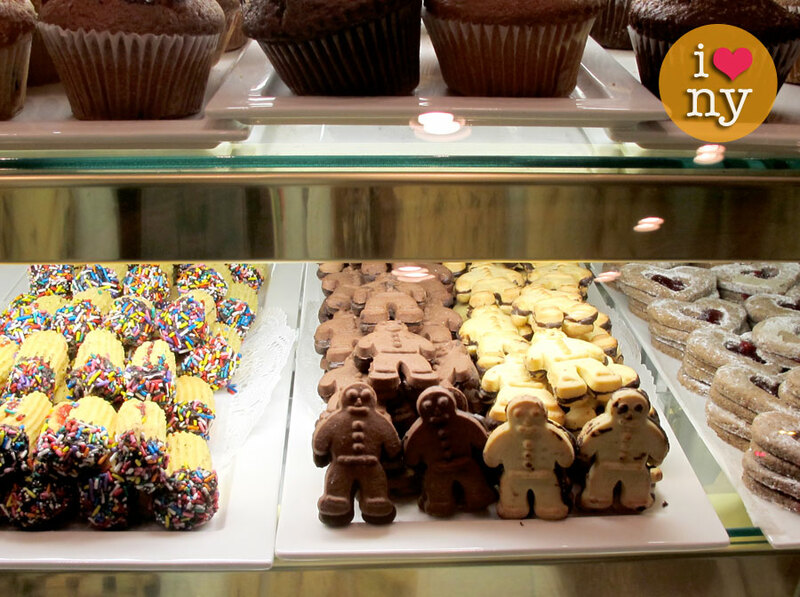 when you go to new york city, promise me you won't be on a diet. new york city food is meant to be enjoyed (and photographed). here are some of your suggestions! thank you. levain's bakery | upper west side | i've heard from dozens of sources that this place has the best cookies in the world. i was excited to give them a go and sad not to taste them on this trip. as you can see, i just didn't get enough to eat while we were there. upstairs by bouley | i have heard this is a chic restaurant; cozy and delicious–with a great sushi bar. grimaldi's pizzeria (walk across the brooklyn bridge) and wait in line for this supposedly spectacular pizza or run to lombardi's (in soho) for an equally true new york pizza pie. have heard they live up to their names. bryant park grill | relaxing in beautiful bryant park (complete with quaint green folding chairs, a carousel and green lawns), just behind the ny main library, was dreamy. i imagine the food at this nearby grill would be scrumptious. murrays' cheese shop | bleeker street | we wandered by this place and i snapped a picture of this darling diner / market and was so sad it was closed up for the night. the chalkboard menus boasted of all kinds of grilled cheese sandwiches and more. definitely stopping in for lunch next time i'm on bleeker. the little owl | greenwich village | you'll need to make a reservation well ahead of time for this charming popular restaurant located in such a fun neighborhood. can't wait to go someday. max brenner's (bald man) chocolate shop | my mom has been telling me about this place dripping in chocolate. will have to indulge next time. the dessert truck | review and photos | word is there is this truck that drives around nyc, filled with decadent desserts for passersby. if you can find it (follow them on twitter! ), you'll be in for a real treat. the doughnut plant | ny times review | the name alone makes my mouth water. two little red hens | supposedly a baked goods bonanza of goodness. the cinnamon rolls are supposed to be heavenly. sarabeth's | friend of a farmer | le pain quotidien | alice's tea cup | clinton street bakery | kitchenette | bubby's | a collection of favorited brunch spots in the city that i can't wait to try. city bakery | another bakery shop filled with yumminess that people can't quit raving about. butter lane cupcakes | this is supposedly the locals favorite-of-all cupcake shops. forty carrots frozen yogurt | Bloomingdale's, 1000 3rd Ave, 7th Fl | i've read about this hidden frozen yogurt shop for years, but haven't yet had a taste. next time, i think it will be a sugar-coma-only trip. delightfully delicious review marta! last fall i visited my cousin who lives in the city and i can not wait to go back! like you, every picture seems to have food in it... now i have more places to add to my "must try" list. i was standing right behind the shake shack but too stuffed from brunch to eat another bite. next time i'm making sure i save room. i know this is a post on nyc food (looks amazing!) but, just had to comment on your fringe! so cute! food is what i miss most about living up north!! it was fun to see familiarity. also, loved seeing that you have a friend named slade! it's my little boy's name too!! This post makes me smile. After deciding where we are going to travel, the first thing my family discusses is where we will eat once we get there. So fun to read! Very helpful in planning our little vacation to NYC this June. Thanks, Marta. My husband just bought me a trip to NYC for my birthday and I've been anxiously awaiting your NYC suggestions. I will totally be printing off this list to take with us. I too love cupcakes and well, pretty much all food so this is perfect. I already had Magnolia Bakery on my mental list of must have's. Can't wait to hear more of your recommendations! If the music on The Little Owl's website doesn't make you want to eat there I don't know what will. My husband & I did eat at the Bryant Park Grill when we were in NYC a few years back for an anniversary trip. We ate later at night & it was simply magical & the food did not disappoint. Sounds like you had a fantastic trip! I am moving to RI for a few months, and have never been to NYC. I will definitely have to try out some of the places you posted when I visit! Mart, I'm so glad Norma's made the list of mentionables here! We were lucky enough to be introduced to it by friends our last trip to NYC and I must say hands down best (and most expensive, but totally worth it!) brunch I've ever had. Seriously, their oj is just on a whole new level isn't it! 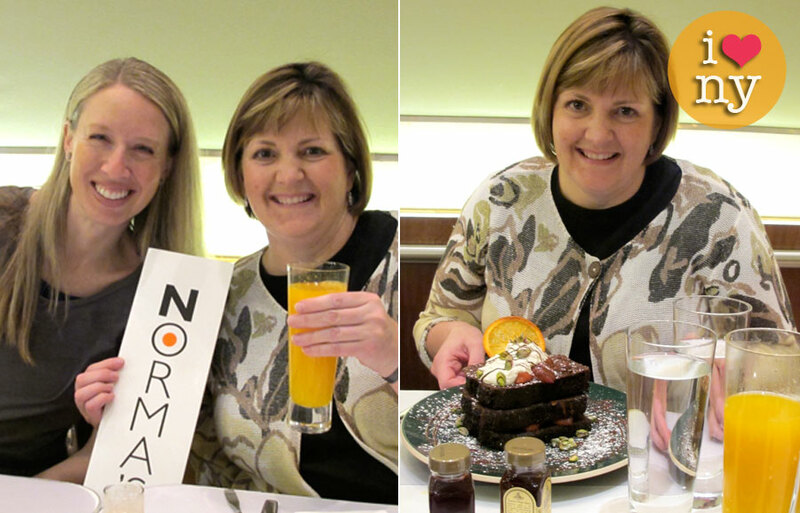 We've vowed never to go to NYC again unless a stop at Norma's is included. PS - I've been meaning to tell you for a while now how much I'm loving the bangs - so glad you made the cut!